The wait is now over as RIZIN Fighting Federation has finally released the full card for their big New Year’s Eve show this year, RIZIN 14 on December 31. 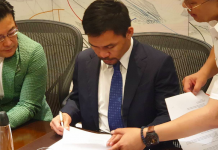 With big things already expected after the announcement of the card’s headliner between boxing legend, Floyd Mayweather and superstar kickboxing prodigy Tenshin Nasukawa, it has only gotten better. Since that fight’s announcement, we got two more prior to the full reveal. The first being the big atomweight clash between the 2017 RIZIN World Grand Prix winner, Kanna Asakura and former Invicta FC champion Ayaka Hamasaki as they fight for the innaugural RIZIN atomweight title. The other being a featherweight showdown between Kazuyuki Miyata and Erson Yamamoto. As for the rest of the card, RIZIN there is plenty to look forward to as several top RIZIN stars make their returns against former UFC competitors as well as former and current Bellator champions. RIZIN revealed the full card in their RIZIN 14 pre-fight press conference. Check it out. 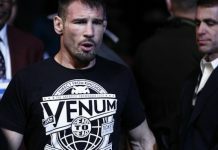 Obviously, the most notable fight of the bunch is the current Bellator bantamweight champion Darrion Caldwell making his Japanese debut to take on one of the best bantamweight and flyweight fighters in the world in Kyoji Horiguchi. And this fight will be for the innaugural RIZIN bantamweight title. 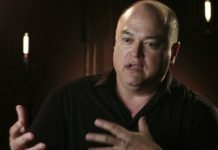 Bellator president Scott Coker showed his interest in making it happen recently…well he wasn’t kidding. In MMA, this is surely expected to be Horiguchi’s toughest test since his UFC title shot against Demetrious Johnson in April 2015. The 28-year old has gone 10-0 since that loss. Two other interesting names competing are former UFC flyweights in Ulka Sasaki and Justin Scoggins who were recently let go after the news of the division’s dissolving. Sasaki’s last fight took place as recently as UFC Argentina when he suffered a first round submission loss to Alexandre Pantoja. 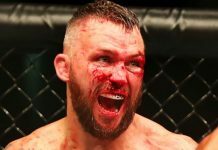 The always entertaining Demian “Beatdown” Brown will be making his first appearance since leaving the UFC as well when he takes on the equally as exciting former UFC vet, Daron Cruickshank. 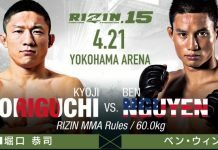 RIZIN 14 looks to be a card that fight fans will not want to miss.